No other local radio personality has as much influence as Hot 97's night host Funkmaster Flex with listeners in New York City and in the Hip Hop community. Last week he was given the task to break a record to the public with the official leak of "Otis" from the upcoming Jay-Z and Kanye West album "Watch the Throne." What he did with one song over the next 30 minutes last Wednesday, no other DJ in the country would have been able to do. It was Flex that generated the buzz on Twitter that caused many stations to go out full force on Thursday to play "Otis" at least once hour. 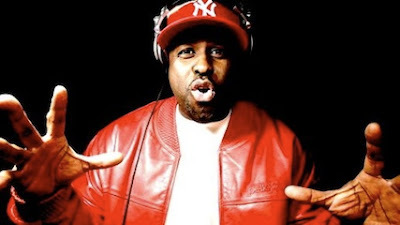 (Try not to think about the fact that you might be hard pressed to hear the track on any station right now) If you need HYPE for a record you go to Funkmaster Flex. It kinda makes him number one. It’s a hazy Wednesday evening in New York City, and a song you’ve never heard before is on the radio. It’s got an Otis Redding sample, that escalating bit right before the chorus of “Try a Little Tenderness,” and it’s not hard to recognize the voices rapping over it. Jay-Z and Kanye West are unmistakable from a hundred yards away. But something, or more accurately someone, keeps interrupting them. Explosions and bomb sound effects strafe the audio. The skitch and stutter of a record being wound back repeat over and over again.